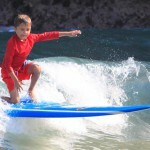 We have in stock WET SUITS for KIDS-ADULT, BOARD SHORTS, RASH GUARDS, SIZE XXS-BIG SIZE XXL. We also stock SOFT BOARDS for beginners. Competitively priced short boards, fun boards, and Long boards. Please come and check out our inventory. We carry Quiksilver, Billabong, Volcom, NIXON, Vonzipper, havaianas, beach sandals, Headhunter sunscreen, Aloe gel, Bodyboards, Da Fins, Da kine leashes, FCS, Futures fin, WAX and more!! 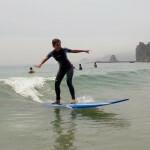 Surrounded by beautiful forest, mountains and white sands, Shimoda has some of the leading surf　spots in Japan. The ocean water in Shimoda has been verified A-AA by the prefectural water examination committee. 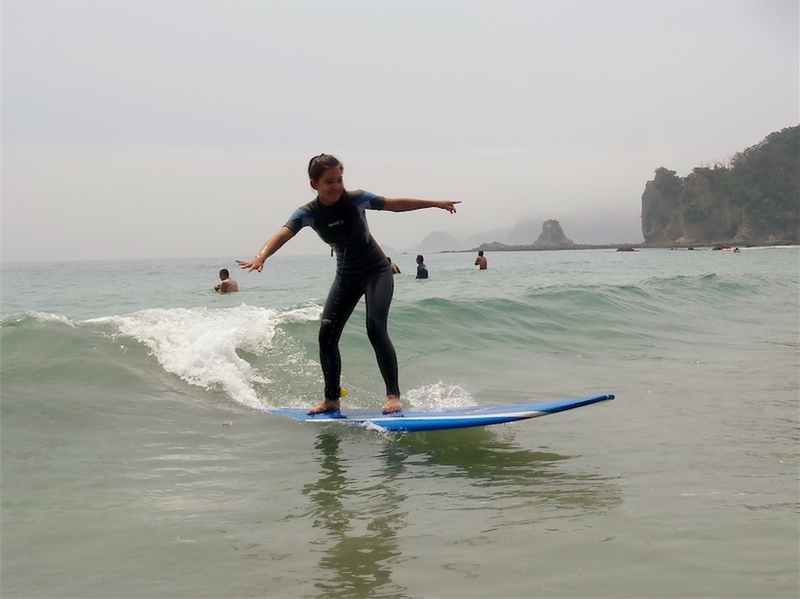 Because Shimoda is located at the southern tip of the Izu peninsula, it catches west, south and east swells making it possible to surf all year round. 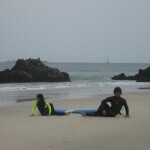 Shimoda is one of the best surf spots in Japan leading to its great popularity. The simplest way is to take the Odoriko train(Express train) from Shinjuku or Ikebukuro. Or Odoriko Superview is super express train. 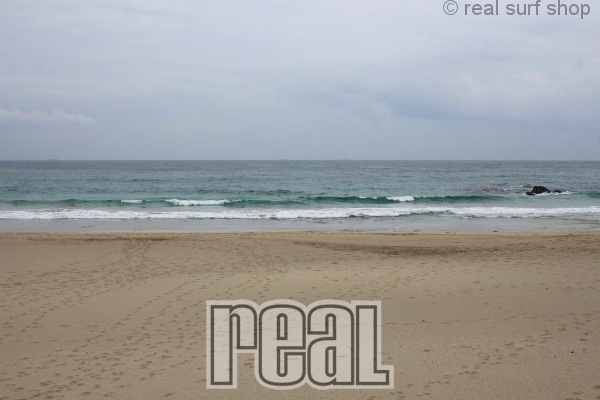 REAL SURF SHOP is about a 10-minute drive from Shimoda station. To get to Kisami from Izukyu Shimoda Station you can take a bus or Taxi. Take a taxi and say”Kisami Family Mart” to the driver. A store is next to Family Mart. Take a bus to Minami-Izu. Get off at Kisami bus stop and walk to Straight, walk past Family Mart,then take a 1-minute walk and you will see us on your left. Welcome everyone; kids, teens, adults! 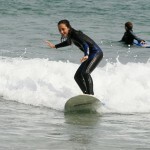 Come and experience the joy of surfing. We want everyone to have a chance to feel the surge of one of natureﾕs most awe-inspiring forces. 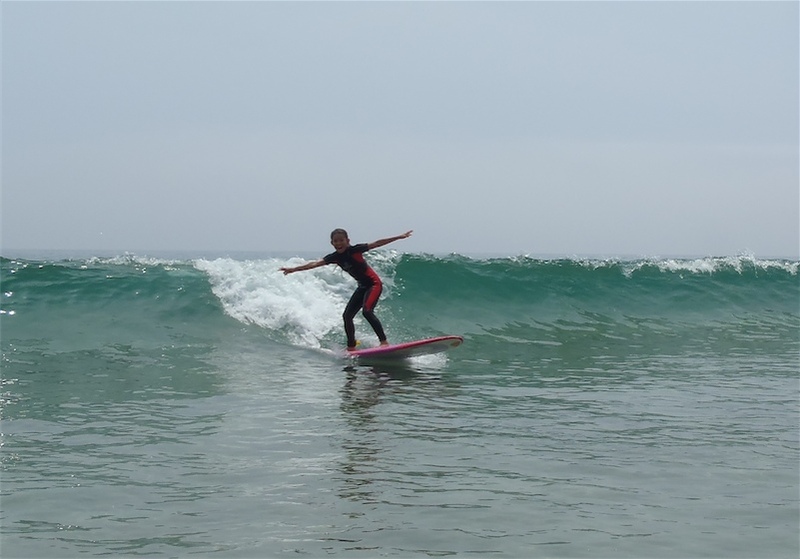 Why not learn to surf while taking advantage of emerald green waters and white sandy beaches, and enjoy a week of fun in the sun? No matter what kind of training you need, we offer a program to match. 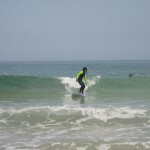 The surf lessons include ocean awareness, surf etiquette, paddling techniques, and wave riding. 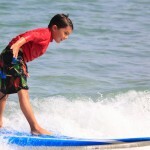 Enthusiastic and qualified instructors coach these features in a welcoming format that is fun and encouraging. 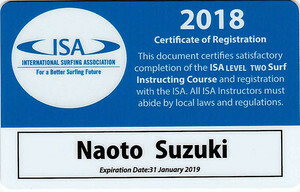 5.Surfing skills instruction in water Real’s instructors all hold International Surfing Association (ISA)Level 1 accreditation, so you’ll be in safe and experienced hands. They’ve already taught people from the USA, UK, Australia, Italy and Russia, as well as budding boarders from the British School in Tokyo and American School in Japan’s Ocean Camp. Lessons usually start at morning session 10:30am and start at afternoon session 13:30 Monday thru Sunday. All lessons are by appointment and must be pre-booked. All online reservations must be made at least 24 hours prior to the date and time you want to book. 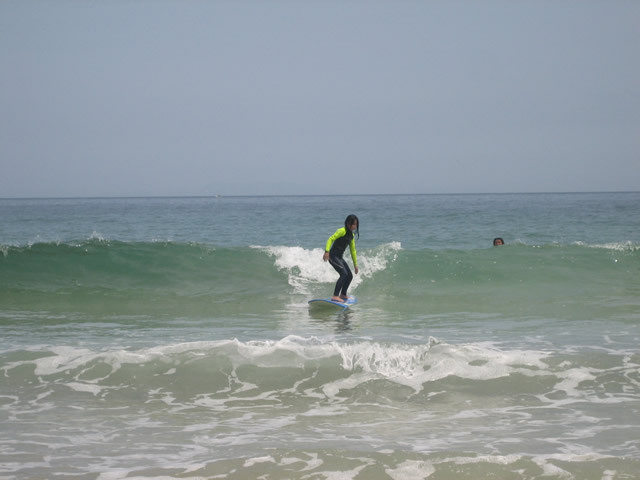 Surfing Lessons Cancellation Policy: A full refund will be given to any cancellations made up to 72 hours prior to your reservation date. 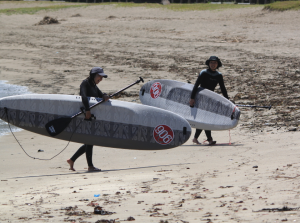 A one day rental is from 10 A.M. until 5 P.M.
You will be responsible for fees for damages to surfboards. Shimoda at one of the MOST SPECTACULAR locations in Japan. 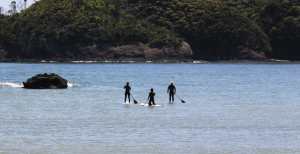 Stand Up Paddle boarding has reemerged as a way for people to enjoy oceans, lakes, rivers and bays using a one-bladed paddle and standing on a longer and wider surfboard. 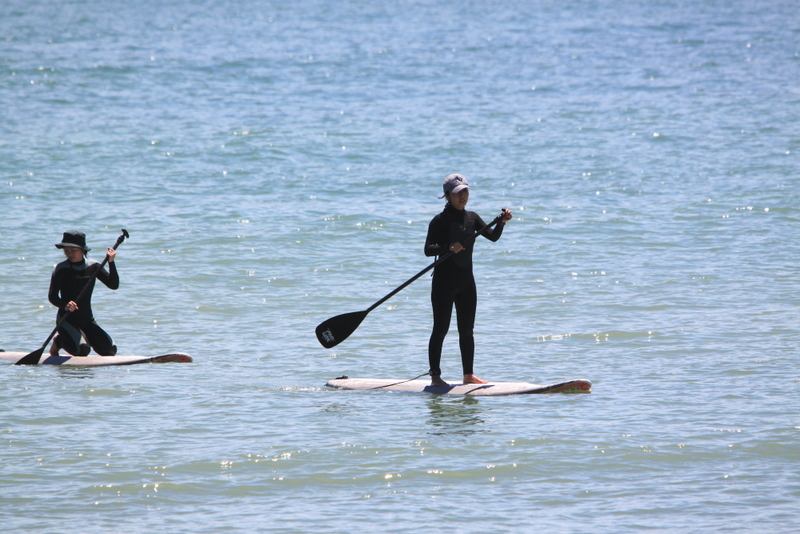 We offer beginner and advanced stand up paddle lessons for anyone that is interested in taking the challenge of trying out this awesome new sport. Standup Paddle Boarding (SUP) provides you with a total body workout and allows for a great view. In just a few sessions, you will improve your balance & coordination as well as your strength & endurance. 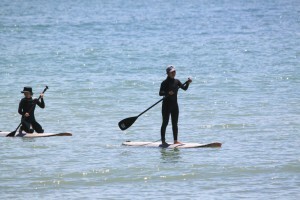 Stand-Up Paddle is easier than surfing and you are guaranteed to learn! All of our lessons starts out on the flat, calm waters. All students must be able to swim. Life jackets available for weak swimmers (please ask ahead of time). • All lessons are 1.5hr in length. • All of the equipment is included within the price. • All of our lesson charges are per person. • All online reservations must be made at least 24 hours prior to the date and time you want to book. Lessons usually start at morning part10:30am and afternoon part 13:30 Monday thru Sunday. All lessons are by appointment and must be pre-booked. Stand Up Paddle Cancellation Policy: A full refund will be given to any cancellations made up to 72 hours prior to your reservation date. 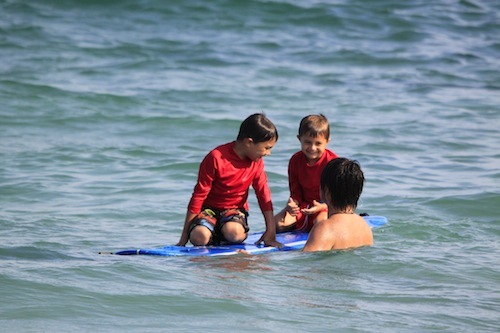 My two boys, ages 5 and 7, were lucky enough to start surfing lessons in July with Real Surf Shop’s English-speaking and super-friendly owner, Naoto Suzuki. The lessons are a one-stop breeze for me: a quick stop in the Real Shurf Shop to determine with Suzuki-san when the next best surfing day will be, and at the appointed hour Suzuki-san arrives with his brilliant white smile and incredibly friendly and easy manner. 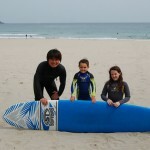 He brings along kid-sized wetsuits and surfboards and in a flash they are ready to hit the waves. On a colder day Suzuki-san brought along thicker wetsuits, he clearly gives each lesson a great deal of thought. Each lesson starts with a good warm up on the beach which the kids love, they giggle all through the stretching and twisting moves. Once in the water, Suzuki-san exudes such confidence that the boys splash in after him, desperate to catch that first wave. 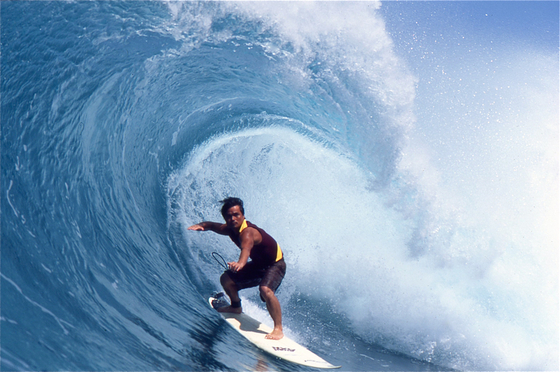 Suzuki-san is such a natural in the waves that as he rides each wave in with the boys, they beam with pride as though they did it all by themselves. 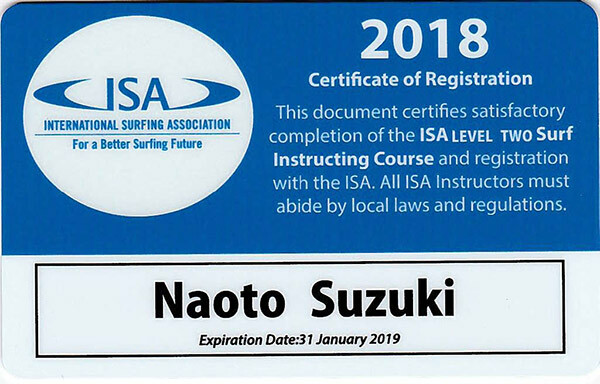 After each lesson my boys want to know when the next one will be, having watched Suzuki-san work his magic with my sons I am even contemplating giving surfing a try. 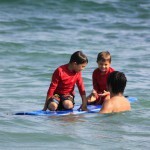 Even with their lips blue and teeth chattering, I’ve watched my boys beg to go out for ‘just one more’ wave. 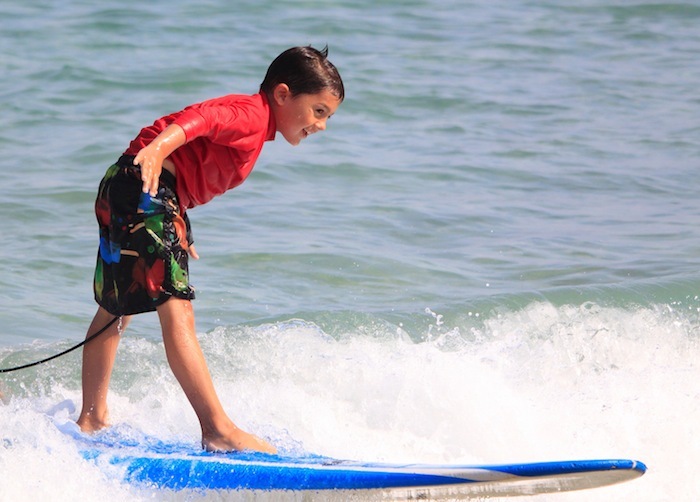 Not only have they learned the rudiments of surfing but taking surfing lessons has also greatly improved their boogie-boarding ability and overall wave and ocean confidence. 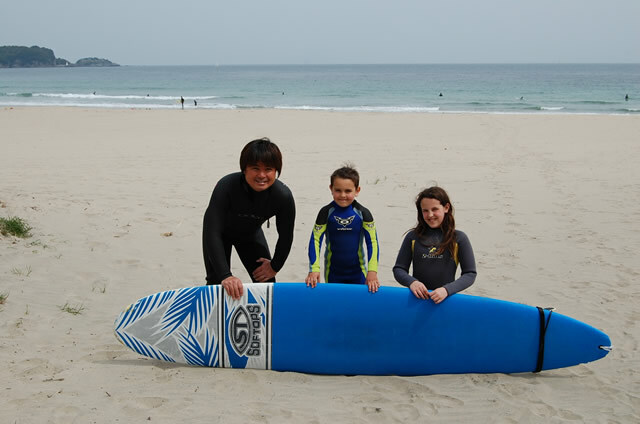 Best of all, with the right wetsuit, surfing in Shimoda can be year-round so we intend to continue our surfing lessons right through to winter. 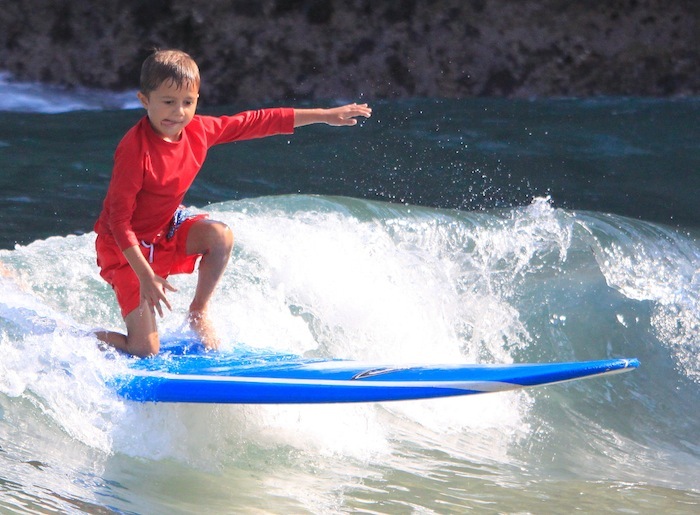 If you are looking for a great way to spend the afternoon watching your kids, or looking for a new adventure for yourself, look no surfer than Surf Shop Real’s fabulous instructor/ owner Suzuki-san. 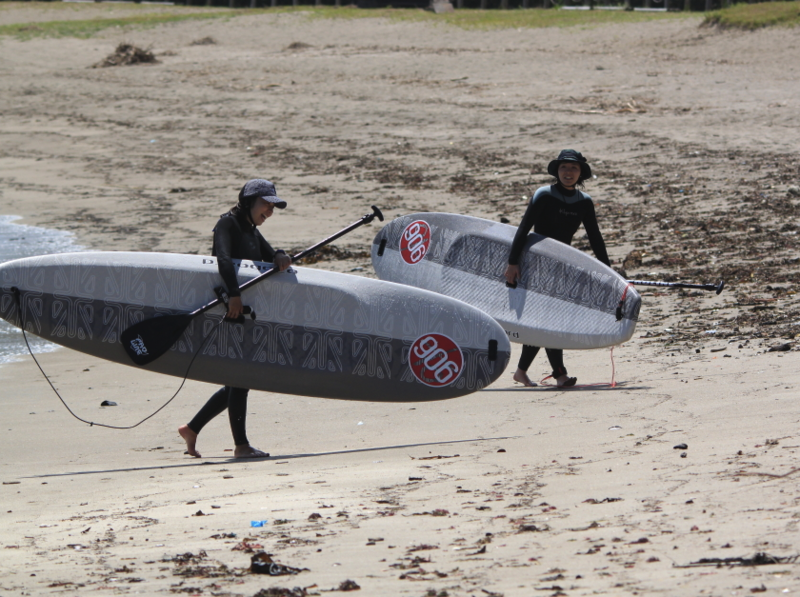 13th and 14th of June 2009.Wonderful surf class by Suzuki-sensei in Iritahama beach.We enjoyed it very much and need to practice more now. Looking forward to going again!Valentine (11 year old) and Ferdinand (12 year old) from France. From Shimoda drive 8 minutes towards Minami-izu, turn left at the intersection with the sign for Ohama. Menu: Mexican food, Pasta, Curry, Casserole, etc. Super Nice Ocean View, 3 Minute walk to the Nabeta beach.Good for SUP!! Great Location, 20 seconds walk from the Ohama beach. 60 seconds walk from the white Ohama beach. located on the oceanfront of beautiful Tatado Beach.hot springs!! vacation/holiday rental cottages. 7 minute walk to Irita-hama beach. Individual Cottage / House. Deep Forest Cabins and Valley Cottages.